The recent elections at the AGM in January mark one of the biggest turnovers on the executive board in the history of the club. With the resignation of Peter Erzberger an era comes to an end, but every ending is also a beginning. At the helm of the GYC is now an Italo-German tag team, Manrico G. Iachia in his new function as commodore and Cindy Schönrich as managing director. 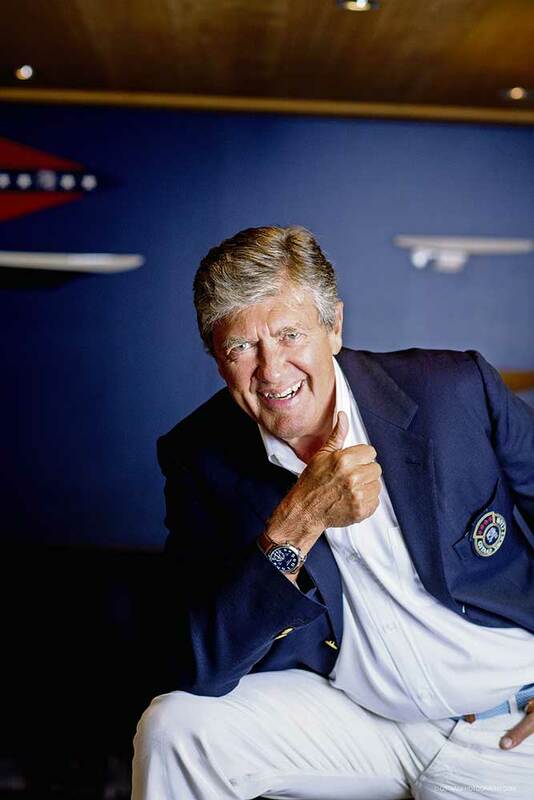 Iachia joined the Yacht Club in 2007 and served three years as rear commodore, in which role he was responsible for worldwide relationships, one of the club’s very assets. He took over from Peter Erzberger, who is a founding member and served ten years as commodore, for which he received an honorary presidency. Schönrich has worked ten years for the club and knows it inside out. Over the years her duties and responsibilities grew with her experience. Today, as the club’s managing director, she oversees the daily business as well as the club’s projects and essentially pulls the strings. She is also a member of the board of the Club Managers Association of Europe, where she is head of the regions, alliance and affiliate partners working group. The foundation of the club is rock-solid. It counts 400 members and is well established in- and outside the Saanenland. The social aspect of the club is important, activities go much further, though. On the sports side, it supports young sailors and has enabled many an Olympic participation over the years. It also takes environmental issues to heart and takes on an educational duty. Iachia, who recently retired after 35 years as CEO of a multinational insurance company, is convinced that there is still room – and the need – to strengthen the GYC’s profile in this respect. In his view, the club needs to address social and environmental issues to fulfil its responsibility on the one hand, and to appeal to the younger generations on the other. members’ fingers, ie digitally. How this will be put into practice still needs to be worked out but first results are planned within the next three years. There is no time for Iachia and Schönrich to rest on their laurels. With both of them knowing the club so well, there are no obstacles to get straight to work. The only thing that may need some adjustment is their collaboration. Iachia’s more spontaneous Italian attitude and Schönrich’s very organised German approach may seem contradictory at first sight. However, maybe that very combination will turn out to be the catalyst needed to take the GYC into a prosperous future.